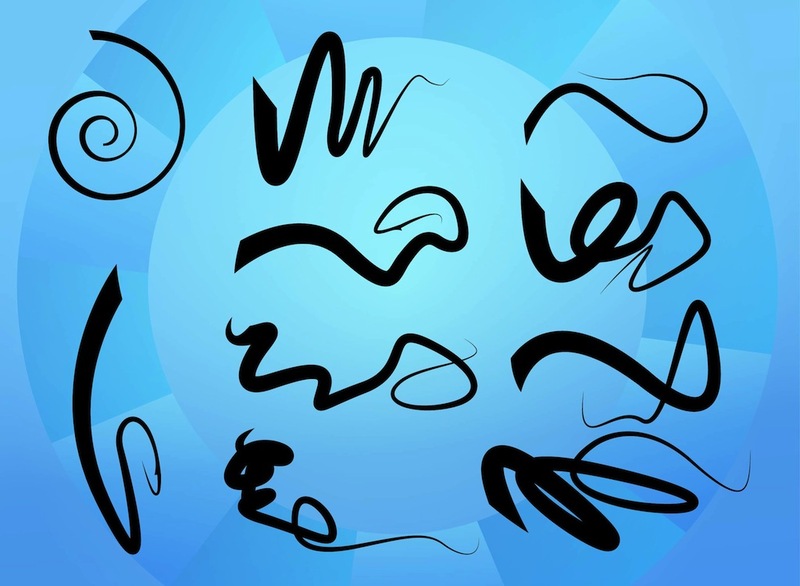 Vector image collection with abstract scribbles. Fluid hand drawn lines with different swirls and spirals. Ink doodles to create hand drawn, drawing, painter and abstract art designs. Free vector image collection for decorating posters, flyers, backgrounds, patterns, wallpapers and clothing prints designs. Tags: Doodle Vectors, Grunge, Hand Drawn, Lines, Scribbles, Swirls, Waving.